Transurban through a successful market lead proposal have prime responsibility for the delivery and operation of the Westgate Tunnel Project and the delivery of the Monash Freeway Upgrade Project. Halber was engaged by Transurban to assist with the evaluation of Expressions of Interest (EOI) and subsequent tenders received from shortlisted parties. The advice provided, focused on the delivery aspects of the tenders to assess the proponents capability in delivering the circa $5Billion project in the proposed timeframes. Tenders have been awarded and these projects are under construction. In conjunction with CPB, Halber provided a constructability report for MMRA for the Melbourne Metro which is a new underground rail line in the CBD of Melbourne including five new stations. The report focused on the alignment of the tunnel down Swanston Street and under the Yarra River. A key recommendation of the report to deepen the alignment was subsequently adopted and this project has been tendered and is now under construction. Halber provided Project Leadership and construction methodology advice to Thiess / CPB for the Design and Construct tender for this major project in Melbourne. The construction approach was a significant factor in the successful bid and the works were completed on schedule for the client Transurban. 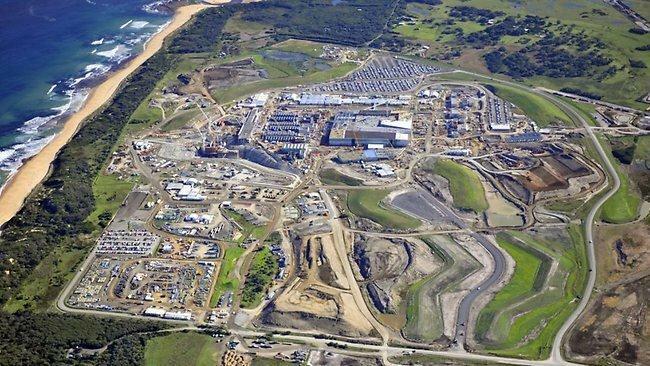 Halber was engaged by the Thiess Balfour Beatty Joint Venture (TBBJV) to provide strategic advice and support to the management team on this $835M alliance project. The project was one of a number of packages being undertaken for the Regional Rail Link Authority. Halber worked with the project team to develop a number of opportunities including a project delivery strategy involving a number of planned major rail occupations to facilitate productive execution of key activities in lieu of multiple weekend occupations. As an example West Footscray station was opened at the end of a major occupation in October 2013 well ahead of the scheduled date of June 2014. The strategies also reduced project completion risks, and improved community and stakeholder satisfaction. Halber was engaged by VicRoads to undertake a number of project reviews and also provide strategic advice in the planning phase of their new projects. Project reviews were undertaken on the CityLink Tullamarine Widening project west of Bulla Road, the Monash Freeway Upgrade project and the Thompsons Road Grade Separation project. These reviews assisted VicRoads to identify areas where the performance of the project could be improved which assisted both the client and the contractor to plan for better project outcomes. Strategic and construction advice on the planned upgrades to the M80 Freeway in Melbourne assisted VicRoads in preparing their tender documentation for approval. VicRoads is a statutory authority responsible for planning, developing and managing the Victorian arterial road network and delivering registration and licensing services. The road network extends over 22,000km and involves some 3300 bridges. Halber was engaged to assist Linking Melbourne Authority (LMA) in an advisory capacity for the preparation of a business case for a proposed multibillion dollar project in Melbourne. LMA is a special purpose statutory authority, responsible for managing complex road projects on behalf of the Victorian Government and the wider community. Previously known as the Southern and Eastern Integrated Transport Authority (SEITA), LMA was responsible for delivering the $2.5 billion EastLink project, which was opened five months early. Planning and program studies to ensure critical activities were being addressed on this highly complex multi-disciplinary project. Construction methodology reviews to identify mechanisms for early commencement of commissioning activities. Mentoring of Project Managers and team members. Providing strategic advice to the Management team to improve co-ordination of the various interfaces and the team culture.